While Bitcoin and its digital brethren have garnered the world’s attention, the more important story is blockchain - the transaction ledger underlying cryptocurrencies. Even as some cryptos remain enigmatic, blockchain has near-unanimous support to disrupt nearly any business worldwide - with some calling it the most important new technology since the Internet itself. Serious money and resources are now deployed into reshaping how the global community does business - and those who can master blockchain’s potential stand to reap huge competitive advantages and profits. 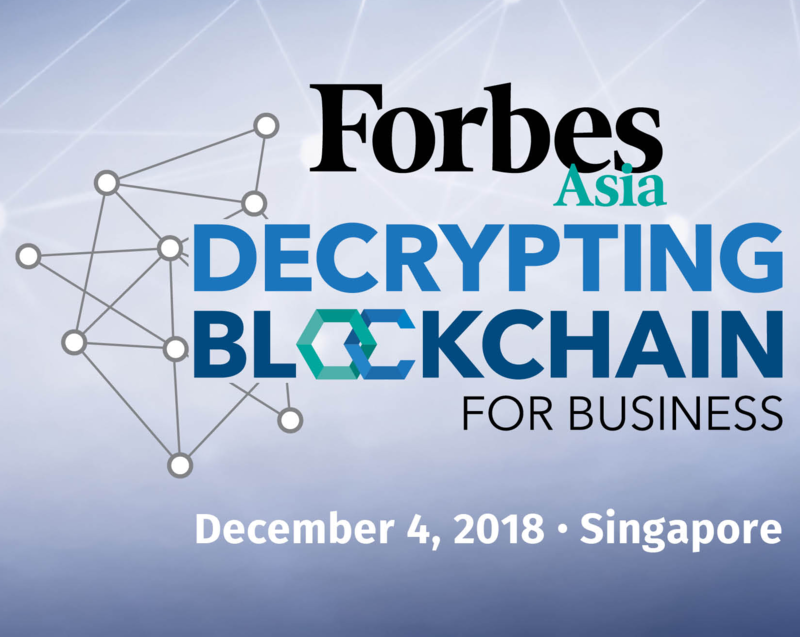 The inaugural Forbes Asia Forum: Decrypting Blockchain For Business will bring together blockchain thought leaders and crypto evangelists with Asia’s most important families, entrepreneurs and investors to explore this technology’s disruptive power. The World Economic Forum estimates the equivalent of 10% of global GDP will be stored in some form of blockchain within a decade. An overview on the decentralized technology and the digital Darwinism taking shape today. Business leaders examine unprecedented opportunities across industries and regions. Existing real-world applications, emerging developments and potential applications of the future. Leading world-class entrepreneurs on scaling decentralized applications. Understanding how blockchain is transforming business transactions. Explore tokenized loyalty in the new world order. Some blockchain projects look to coin offerings to build an ecosystem, while others have the audacity for public markets. How are ICOs structured for accredited investors and the non-parallels between the two. How are security tokens structured for accredited investors? Smart investors are committing vast pools of capital for blockchain projects. Those on the frontline uncover the risks and potential profits within this emerging technology. Market makers and the impending future of digital asset exchanges built for security and speed. A decade after bitcoin's white paper was published, the crypto currency saw unprecedented growth and volatility. New economies have been created and governments are rewriting legislation to address the ascent of this new asset class. What does the next 10 years hold for crypto and blockchain?